1. DeJong RN: The neurological examination, 4th ed. Hagerstown, MD, Harper & Row, Publishers, 19 9. 4. Anthoney TR: Neuroanatomy and the neurologic exam. A thesaurus of synonyms, similar-sounding, non-synonyms and terms of variable meaning. Boca Raton, Florida, CRC Press, 1 994. 6. Harding AE: Clinical features and classification of inherited ataxias. In Harding AE, Deufel T (eds): Advances in Neurology. New York, Raven Press, 1993, pp 1-11. 7. Dichgans J, Diener HC: Clinical evidence of functional compartmentalization of the cerebellum. In Bloedel JR, Dichgans J, Precht W (eds): Cerebellar Functions. Berlin, Springer, 1985, pp 126-17. 12. Hawkes R, Brochu G, Dore L, et al: Zebrins: Molecular markers of compartmentation in the cerebellum. in Llinas r, Sotelo c (eds): The Cerebellum Revisited. New York, Springer Verlag, 1992, pp 22-,5. 14. Bloedel JR, Courville J: A review of cerebellar afferents system. In VB Brooks (ed): Handbook of Physiology. Bethesda, MD, American Physiological Society, 1982, pp 735-8 0. 17. Ito M: The Cerebellum and Neural Control. New York, Raven Press, 198 . 18. Oertel WH: Neurotransmitters in the cerebellum: Scientific aspects and clinical relevance. In Harding AE, Deufel T (eds): Advances in Neurology. Inherited Ataxias, Vol 61. New York: Raven Press, 1993, pp 33-5. 19. Gillilan LA: Anatomy and embryology of the arterial system of the brainstem and cerebellum. In Vinken PJ, Bruyn GW (eds): Handbook of Clinical Neurology, Vol 11. New York, American Elsevier Publishing Company, 1972, pp 24-44. 20. Goldstein K: Das Kleinhirn. In Bethe A, von Bergmann G, Embden G, Ellinger A (eds): Handbuch der Normalen und Pathologischen Physiologie, Vol 10. Berlin, Springer, 1927, pp 222- 317. 21. Gilman S, Bloedel J, Lechtenberg R: Disorders of the Cerebellum. Philadelphia, FA Davis Company, 19 81. 22. Harding AE: Ataxic disorders. In Bradley WG, Daroff RB, Fenichel GM, Marsden CG (eds): Neurology in Clinical Practice. Boston, Butterworth-Heinemann, 1991, pp 337-3 46. 33. Leigh RJ, Zee DS: The neurology of eye movements. Philadelphia, FA Davis Company, 199 1. 34. 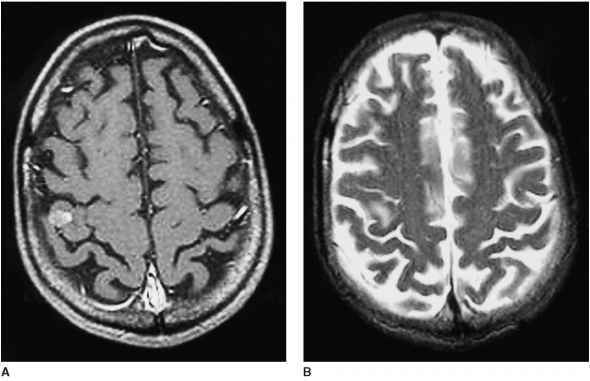 Fetter M, Dichgans J: Oculomotor abnormalities after cerebellar degeneration. In Plaitakis A (ed): Cerebellar Degenerations: Clinical Neurobiology. New York: Kluwer, 1992, pp 281-3 04.